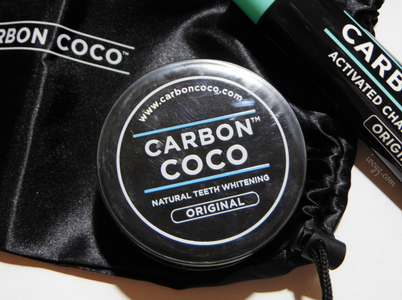 Carbon Coco is an Australian company that provides alternative teeth whitening and oral care products made without harmful chemicals and are cruelty free. To whiten my teeth I use drugstore teeth whitening toothpaste and strips, but they may contain harmful chemicals and usually don't taste that great. When Carbon Coco reached out to me about reviewing their products, I was skeptical. I haven't heard about their brand before, but after searching them up on the World Wide Web they are a big deal! 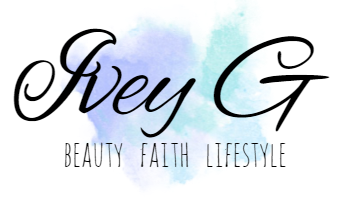 They've been featured on popular sites like PopSugar, Buzzfeed, and other top online publications. 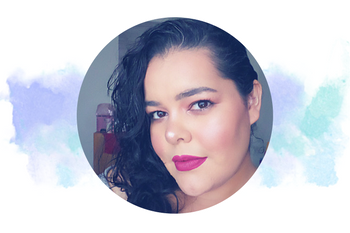 I couldn't wait to try the products, but remember in the beginning when I said I was skeptical? Well yeah, the black Carbon Coco Activated Charcoal Tooth Polish was my concern. I know I read that it didn't have a taste, but I was just scared that it would still taste weird. Fortunately, after reading the instructions like 5 times I dipped my bamboo bristle brush in the Activated Charcoal Tooth Polish and went for it. The instructions states to brush with the polish for 3 minutes. As I was polishing my teeth, I'm happy to report that there was no taste. This truly is a unique way of polishing my teeth, and I like that I saw results instantly after rinsing my mouth of course. If I were using my typical teeth whitening paste it would take me more days to see results so that's a plus for me. Another favorite thing that I like about the Carbon Coco Ultimate Kit, is that the Activated Charcoal Polish is finely milled. The charcoal is not chunky at all or too powdery. I love that as soon as I dip my brush into the charcoal it instantly adheres to the bristles and dissolves quickly or better yet turns into this goop or light paste. (see pic below, also sharing my not so flattering picture of me using the product. It's all for the review right:)) It's also made from organic coconut activated charcoal and it's infused with Bentonite Clay, and Lemon Myrtle. These ingredients work together to help scrub, polish, and eliminate bad odor and so much more. One downside of using the Activated Charcoal Tooth Polish is that it's super messy. I recommend that you wear a black blouse or any old top you have around your house to polish your teeth because some of the charcoal gets on your clothes, and bathroom countertops. (see below picture) I had to use a makeup counter mat that I got from my local Dollar Tree to protect my bathroom counter. 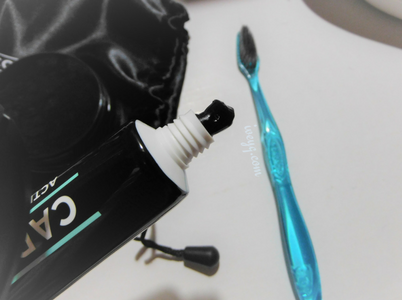 After rinsing the Activated Charcoal Polish, I was ready to use the Activated Charcoal Toothpaste. The toothpaste is also the same color as the polish, but once you brush your teeth with it, it has a greyish tone and has a terrific taste. I love the light natural minty flavor, and how smooth and clean my teeth felt after brushing. 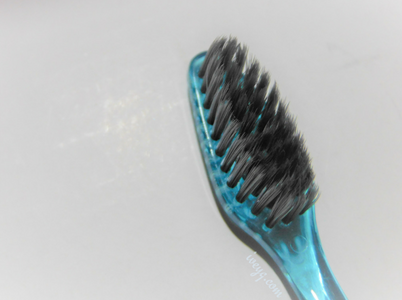 The Bamboo Bristle Toothbrush was easy to hold, and made my teeth feel super clean. I think this is the perfect toothbrush for sensitive teeth as well since the bamboo bristles are not too soft or hard and feels great while brushing. Naturally whiten teeth, removes stains, promotes strong teeth and healthy gums, long-lasting spearmint fresh breath, kills bacteria, and virus in your mouth plus more. Although in the beginning I was skeptical, I'm so glad that I was able to try a natural, and safe way of whitening my teeth. 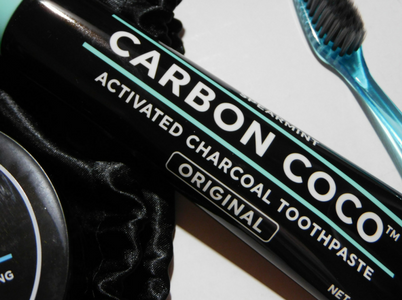 Carbon Coco Activated Charcoal Polish and Toothpaste whiten, brighten, and did so much more for my teeth, and my overall oral health. I love the whole concept, and how safe the ingredients are as well. I think if they can improve on something it would be how messy the charcoal is when polishing. Maybe including a sifter with the packaging might make a difference in reducing mess, but then again I don't know. 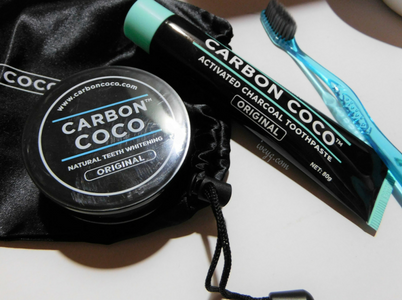 Regardless of the messy situation, I highly recommend Carbon Coco to anyone that's looking for a natural alternative to whiten their teeth. The ingredients are safe and effective. 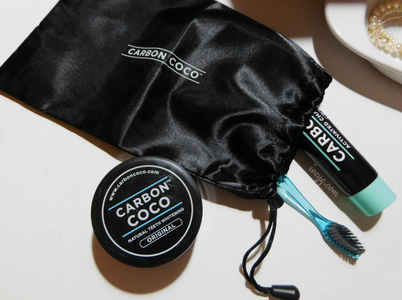 Would you try the Carbon Coco Ultimate Kit to whiten your teeth? 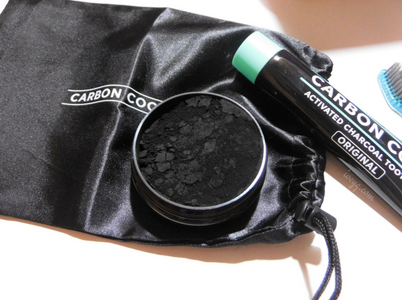 -Disclosure: The Carbon Coco Ultimate Kit was sent complimentary for an honest review. 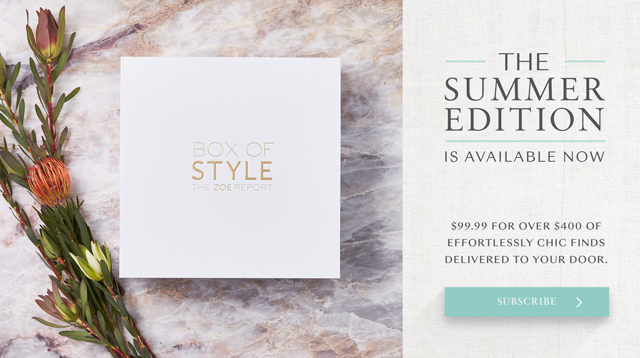 The opinions expressed are honest, and based on my experience with the product. No other compensation was provided.